Helen Connon’s Master of Arts degree was just one step in a long academic career. Her education began in Dunedin, where she was tutored by future Premier Robert Stout. When her family moved to Hokitika, Connon’s mother convinced the principal of the local boys’ high school to enrol her. Connon was soon teaching at the school. When the family moved to Christchurch, Connon’s mother convinced Professor John Macmillan Brown to enrol her in Canterbury College – the first woman to do so. Connon became the second woman arts graduate in the British Empire when she was awarded a Bachelor of Arts in 1880. The following year she became the first woman in the British Empire to gain a Master’s degree when she achieved first-class honours in English and Latin. During her studies, Connon was appointed one of five teachers at the newly-established Christchurch Girls' High School. The year after she gained her MA, she was appointed principal while continuing to teach English, Latin and mathematics. As principal she ensured that the physical side of her students’ education was looked after, with classes in gymnastics, swimming and tennis. Connon was typical of many of the first women university students – she was Pākehā and her background was neither rich or poor, nor socially prominent. Girls from wealthy, socially prominent backgrounds were expected to marry to the advantage of their families, while those from poorer families couldn’t afford the fees. 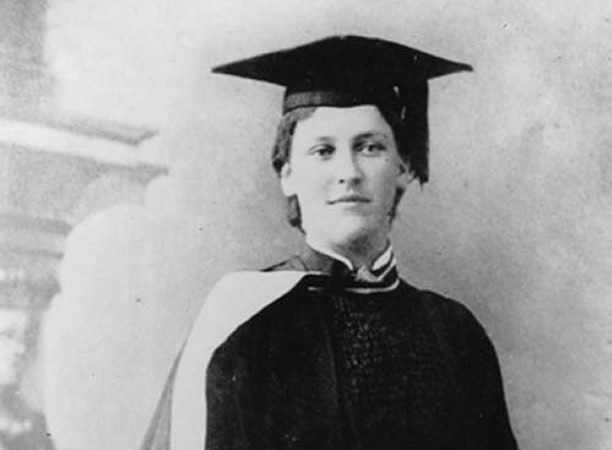 Young New Zealand women were quick to take up university studies. When Victoria University College opened in Wellington in 1899, women made up one-third of the student intake. But the story of women in higher education has not always been one of progress. The proportion of female university students declined during the first half of the twentieth century, and those women who undertook tertiary study focused overwhelmingly on the arts. There were few career opportunities outside of teaching for female university graduates. We have 19 biographies, 5 articles, related to First woman Master of Arts in British Empire graduates.